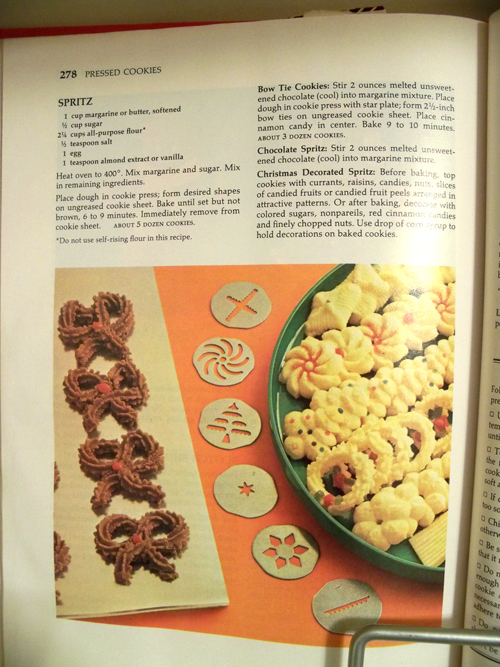 Aaron had a craving for these spritz cookies... we found a recipe in Betty Crocker. 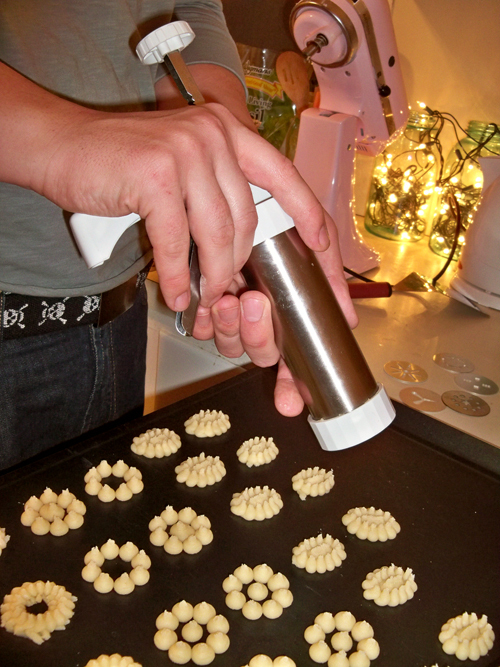 I had a spritz cookie gun that was given to me a few years ago. I also just bought a vintage one at auction that had completely different patterns! 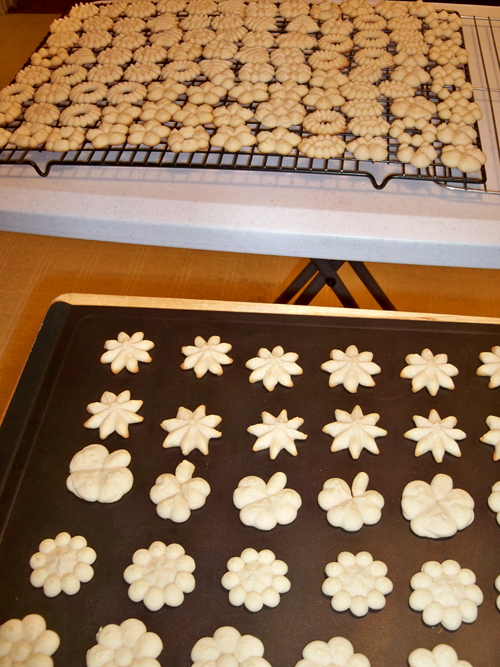 ... and we were able to double the number of cookie patterns! 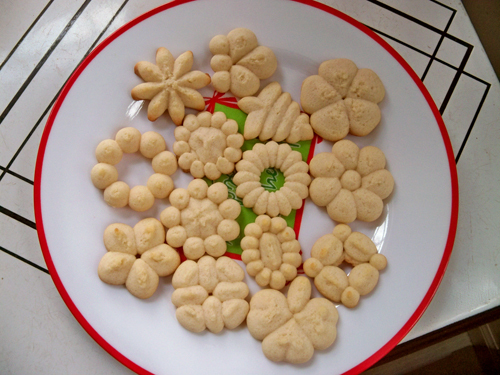 Cookies - nom nom nom. 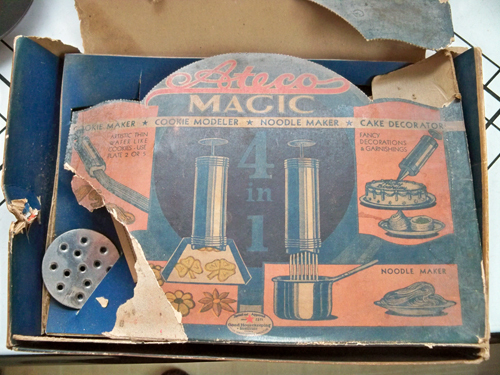 Hey, that's my Mom's Betty Crocker book! 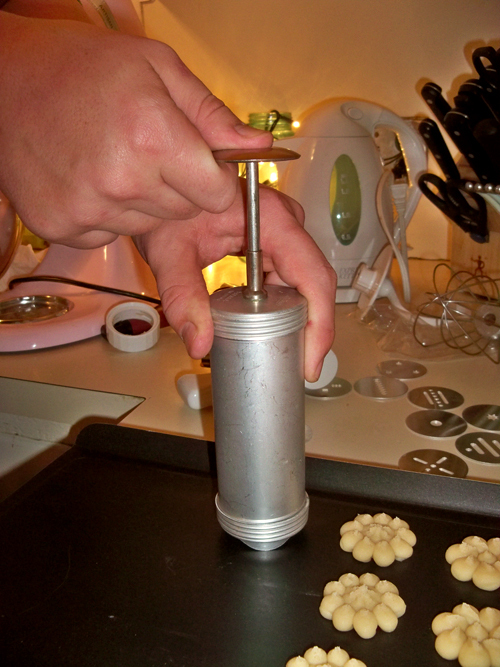 Sadly, my spritz gun broke this weekend, but I managed to squeeze (literally) a few dozen out of it anyway.